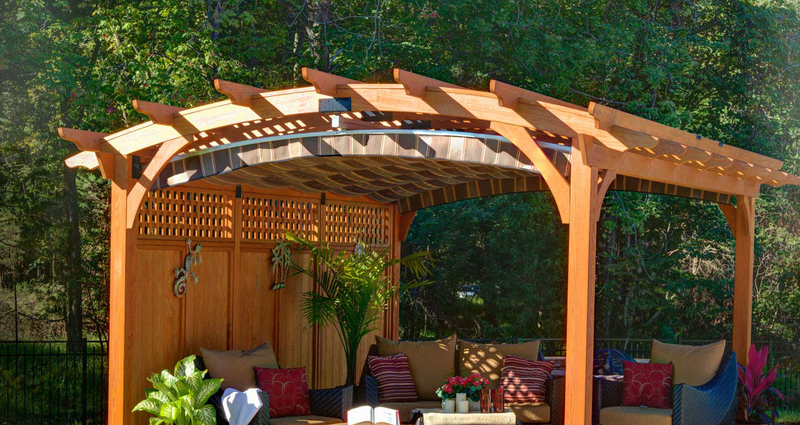 Countryside Gazebos Canada would be pleased to provide and install your gazebo in Oakville. Whether you live in a home, own a business or run a government facility our Canadian owned and operated company will provide the best service and product possible. Why Buy an Oakville Gazebo? A gazebo in Oakville will not only enhance the value and curb side appeal of your property, but will also provide a stunning social setting for entertaining or a stress free place where you can relax in the comfort of your own space. 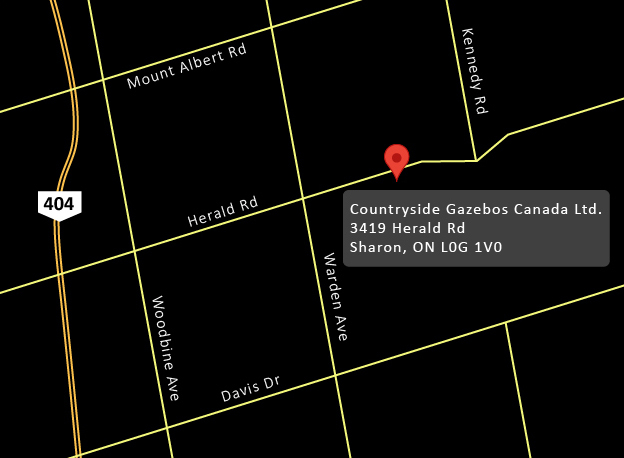 In a business setting, a gazebo will offer employees a place to find peace as they relax on their break, and local governments which install gazebos in Oakville communities will be offering residents a beautiful location for picnics and gatherings. Our online gazebo quoting system is very simple to use. It guides you through a series of questions to find out your likes, dislikes and preferences. If you're computer savvy or know exactly what you are looking for then thistool is ideal for getting a quick quote on your dream Oakville gazebo.